Exclusive interview with Jeannine Koch, director of re:publica, the biggest Europe's conference on digital culture and the only conference with an equal proportion of speakers by gender: 50% female speakers and 50% male. 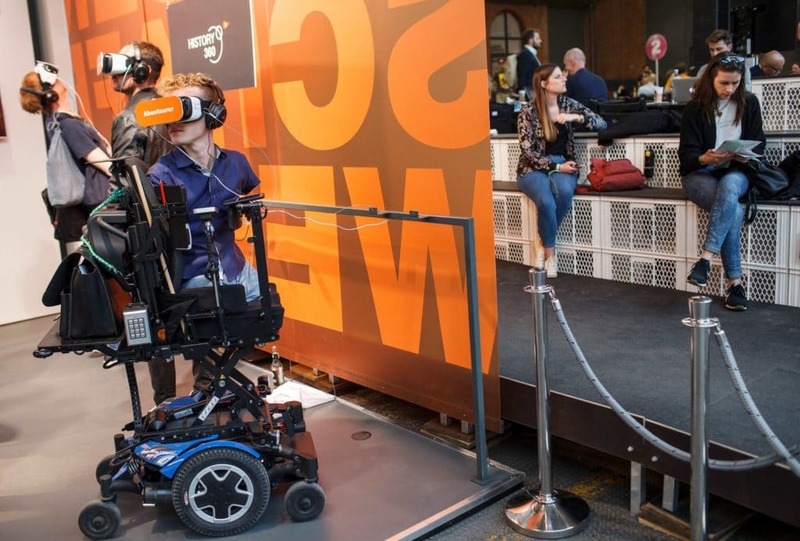 Since its beginnings in 2007, a tech event re:publica has become the largest European digital conference. 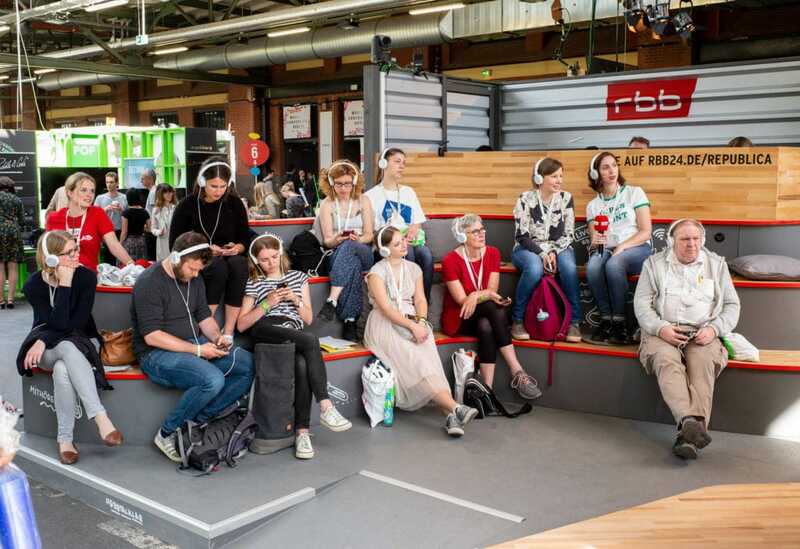 In its 12th edition in Berlin, a total of 19,500 visitors were able to attend lectures of 929 representatives of digital culture. In three days, artists, activists, scientists, hackers, entrepreneurs, NGOs, journalists, social media, marketing experts and many other mingled with digital experts. 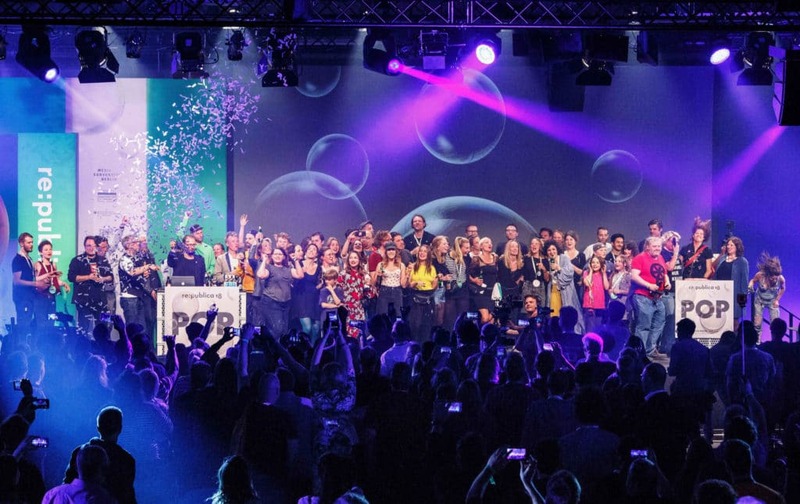 According to re:publica, this colourful mixture ‘fosters innovation and creates synergies between net politics, online marketing, network technology, digital society and (pop) culture’. The specialty of re:publica is that around 50 percent of speakers in 2018 were female, what made for a unique and praiseworthy feature of the tech event that is changing the future of events also thanks to its director, who is not afraid of being openly feminist, Jeannine Koch. Q: This year, we experienced a brand new conference intended for meeting and event strategists, female and male, to collaborate with and learn from inspiring speakers on crucial issues facing women in the meetings industry. You were one of the keynote speakers at this She Means Business conference which was a part of IMEX in Frankfurt. Why, do you think, it is important to have this kind of events? To be honest, I am actually hoping, that we won´t need that kind of formats and conferences anymore, anytime soon. I think at the moment it is important and necessary to point out the »injustice« that happens when it comes to gender parity in regards to all different kinds of society. We need to talk about it, but more importantly, we need to talk to each other. It does not support the idea of diversity and gender balance when we stick to ourselves and are involved only in our own filter bubble. That´s why we also have to intermingle, to network, to open up and be inviting and inclusive to everyone. This is something that we should focus on. Q: It is known that women present a significantly higher share of workers in the meetings industry comparing to men. What, do you think, is good about this and what bad? Is there anything you’d like to change or improve? It is actually quite strange that there are so many women in the meetings industry since it is such a – also sometimes physically – hard job. I didn´t do any research on that so far, and I don’t want to repeat stereotypes such as women having better communication skills and so on. To me, it seems that we encounter a paradigm shift within this industry as well. Meetings and events become more and more important to companies. They are using it as a part of their marketing-mix and therefore inventing new formats, spending more money on that and, of course, hire more people to do those jobs. I always love to work with heterogeneous teams and I think it is very important for the whole structure and dynamics within a team to include different perspectives and also social and educational backgrounds. That´s what I´d like to see growing! Q: How does the meetings industry take ambitious women? Do they get good opportunities to grow in their career path? I cannot answer that question for myself, since I got a great opportunity and I grabbed it. But working with lots of very ambitious and highly engaged women, I can only say, that I always try to »develop« (with) them with handing over responsibilities and involve them in all important aspects of an event and project. But there is actually a different aspect that we need to talk about and this is »Visibility«. Women tend to »hide« behind their own skills and courage. That mostly leads them to be overseen by the so called decision makers. My advice for women who want to grow in their career path would be to make themselves more visible by standing up for their ideas and their achievements. Women need to dare to be in a front row, giving a talk and being on a panel for topics that they are experts for. Stop saying no to invitations like that. Sometimes people from the outside can see your radiant light even better than yourself – once you were able to integrate that into your own mindset and feelings, you might be on the right path. Q: What would you recommend to women in the meetings industry? Be yourself and don´t forget your private life such as family & friends and hobbies. Q: re:publica has almost 20 thousand participants among whom there are 49.72% male, 47.44% female, and 2.84% non-binary. I really like that you give an option of the non-binary choice. How come? There is a huge discussion about the question who actually decides what gender you are! It always used to be decided right after the mother gave birth, they checked and made a note into the birth records. From then on, the child was forced to be »this and that« and had to fulfill special kind of standards related to that gender and had to act like »a girl« or » a boy«. Especially for transgender and intersexual people it was always hard to identify with the given gender. Since january 2019 we now have the chance to chose between male, female, and other in Germany. They finally found out that it is not compatible with our basic law anymore, which is at least a good first step. With that, transgender an intersexuals and everyone else who wants to decide by themselves got a chance of living a life in dignity and with a positive identity. 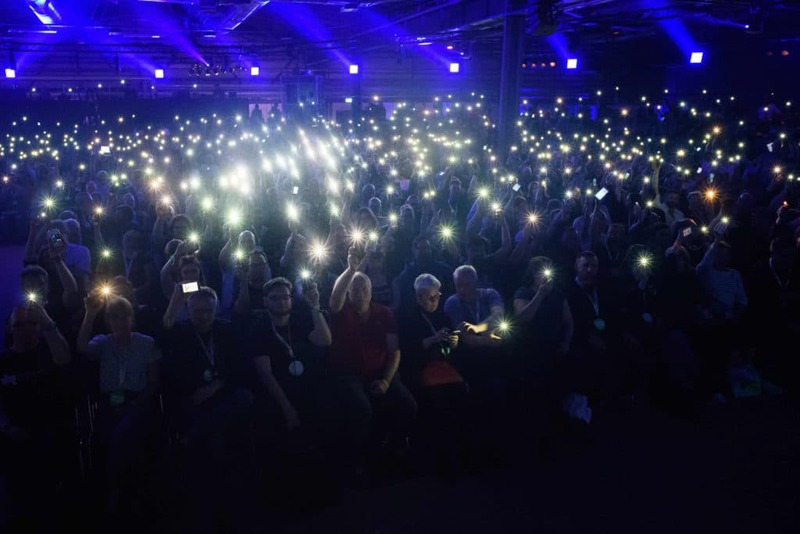 And because re:publica is a conference with and for the whole society we want to include everyone and try to set up a welcoming and warm and colorful surrounding. Q: And re:publica is also famous for having 50% of female speakers among the 929. Why has re:publica decided to put so much emphasis on the selection of speakers to be equally distributed among both sexes (well, in the binary meaning, of course)? Because we want to mirror the society. And since the world’s population exists of 51% women and 49 % men it just comes naturally with us.